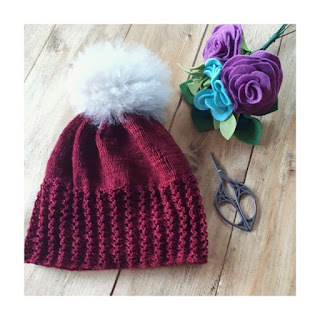 I'm so excited to release my first hat pattern - Linnea. 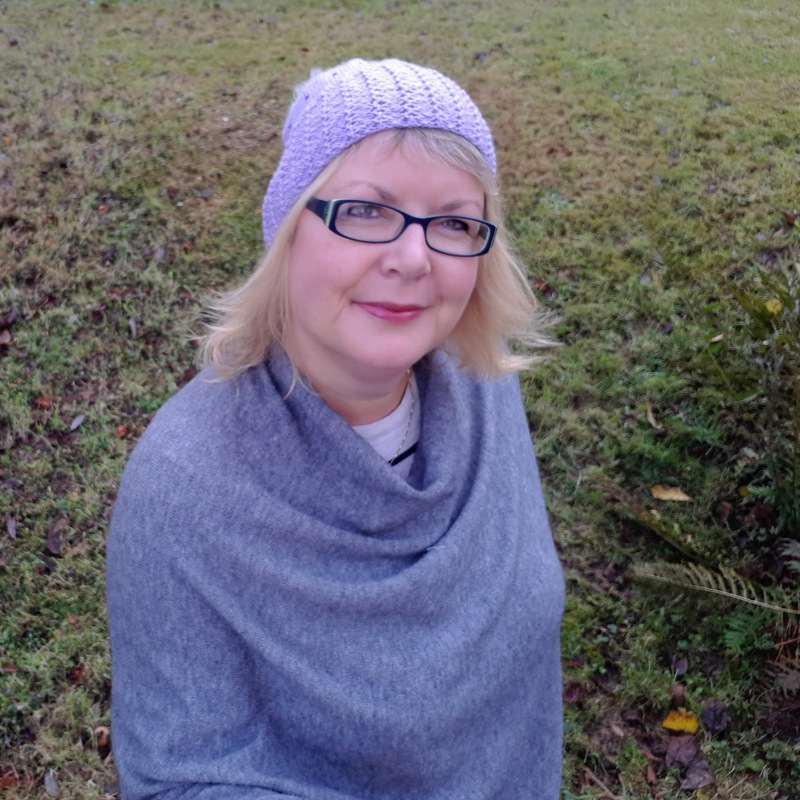 I've knitted four of these now, two for myself and one for each of my daughters and they're really addictive. I'm itching to cast on for more. They're also relatively quick. 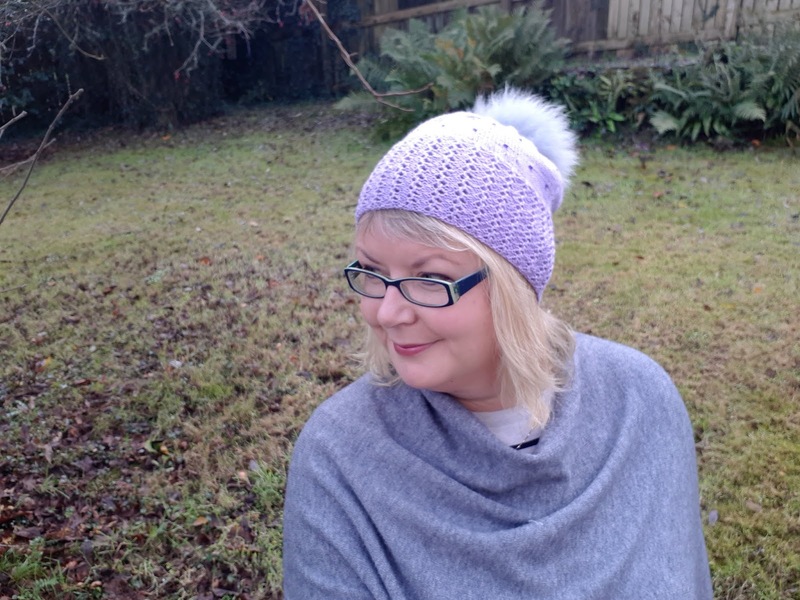 Linnea is a fun, quick to knit hat with a lacy rib and beaded stocking stitch finished off with a big fluffy pom pom. 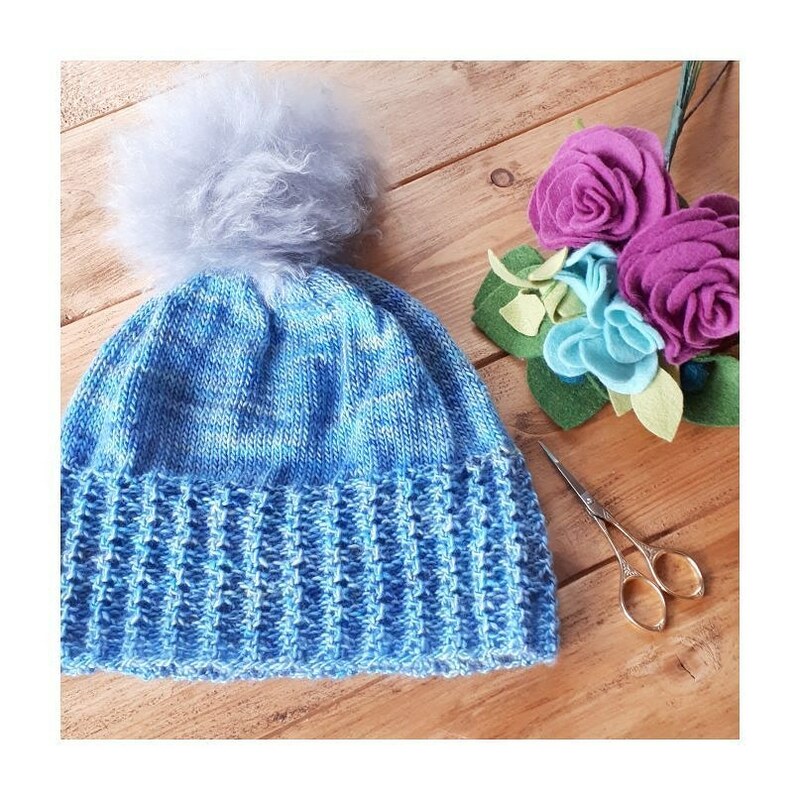 Choose from two versions & three sizes for fit. 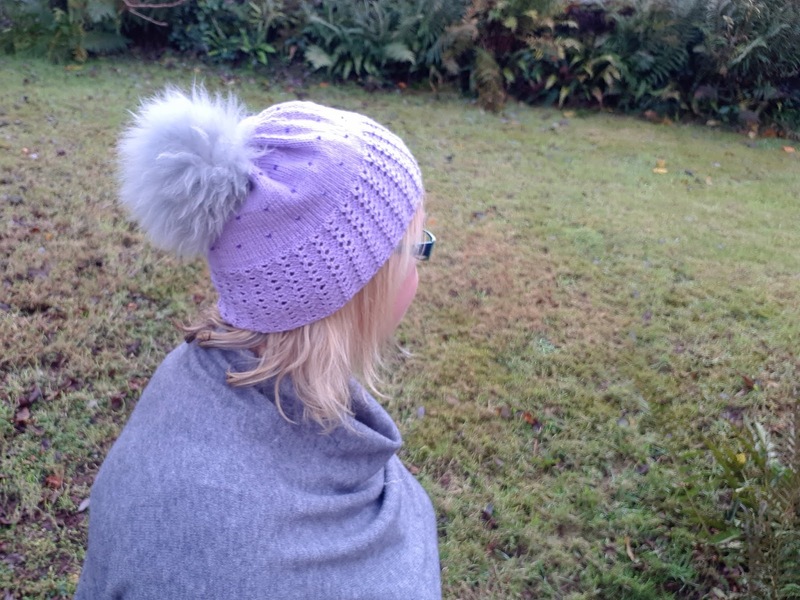 Version 1 is a regular beanie while version 2 is a slouchy option. Beads are added using the crochet hook method but you can leave the beads out if you prefer (see photos of two unbeaded versions at the bottom of this blog post). 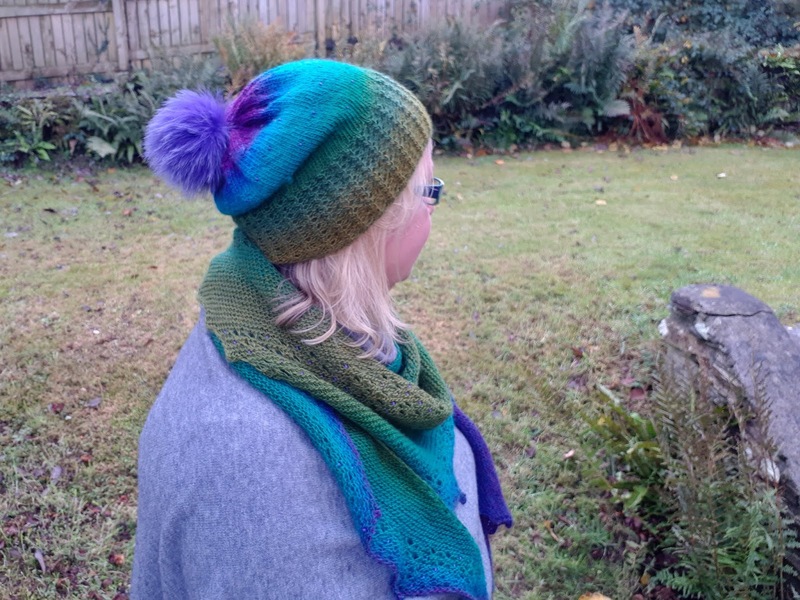 This one is the beanie version knitted in Lang Merino 200 and takes just one 50g ball. 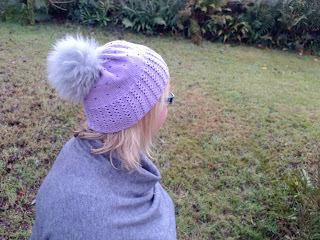 I got the grey pom pom from Toft UK, it's pure alpaca and so soft (the purple pom pom on the Zauberball version was bought a couple of years ago in Norway and I can't remember the brand). 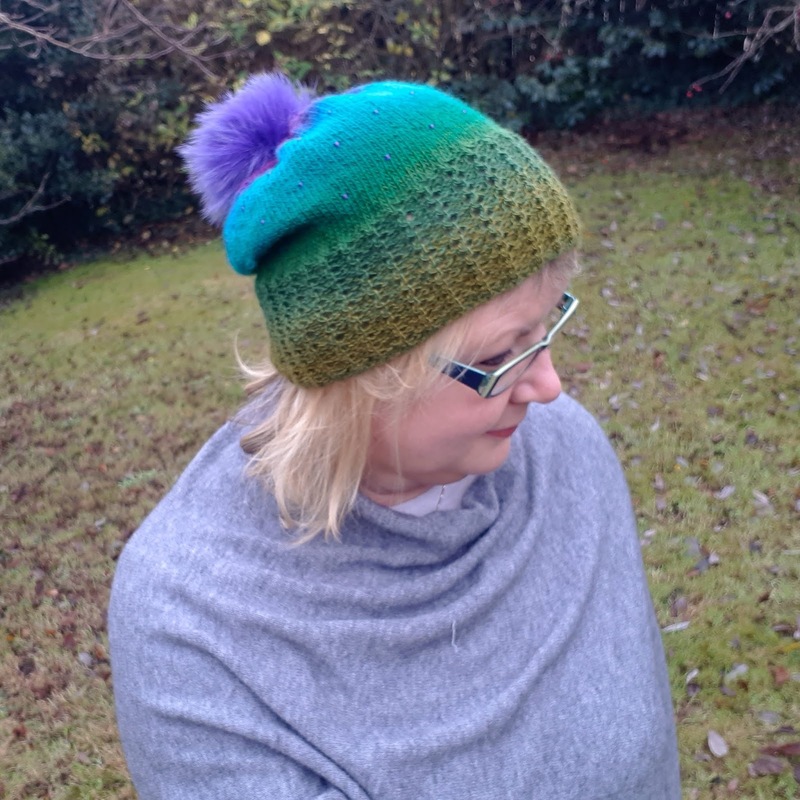 This is the slouchy version and is knitted Zauberball 100. One 100g ball will be enough for at least two hats. You can also use Zauberball and Zauberball Crazy. 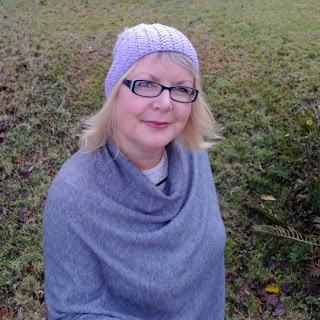 I knitted this version to match my Troms shawl which I'm planning to wear on our Christmas holiday to Norway and I needed a matching hat as it'll be cold. Get 25% off until 31 December 2018, using coupon code: linnea25. You'll need 1 bag of Debbie Abrahams size 6 seed beads (between 45 and 68 beads are needed depending on which size and shape you choose to knit). 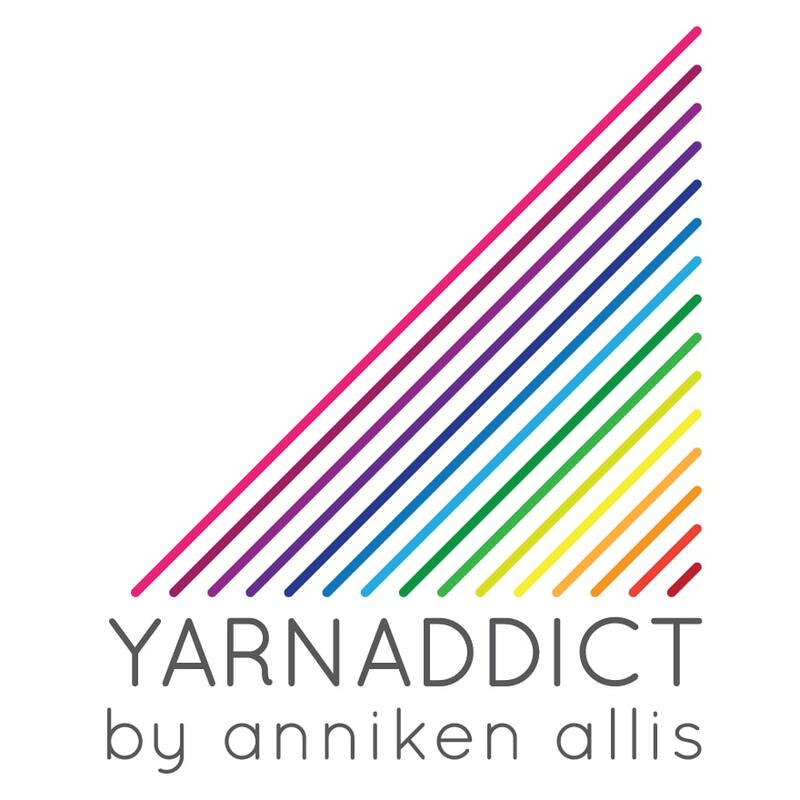 The blue is knitted in Tanis Fiber Arts (not sure which base but it's merino/silk singles) and the read one is Malabrigo Sock. 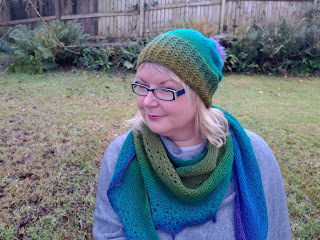 Get 25% off Linnea until 31 December midnight UK time. 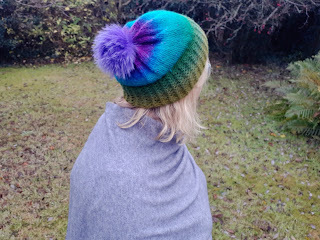 Coupon code: linnea25.